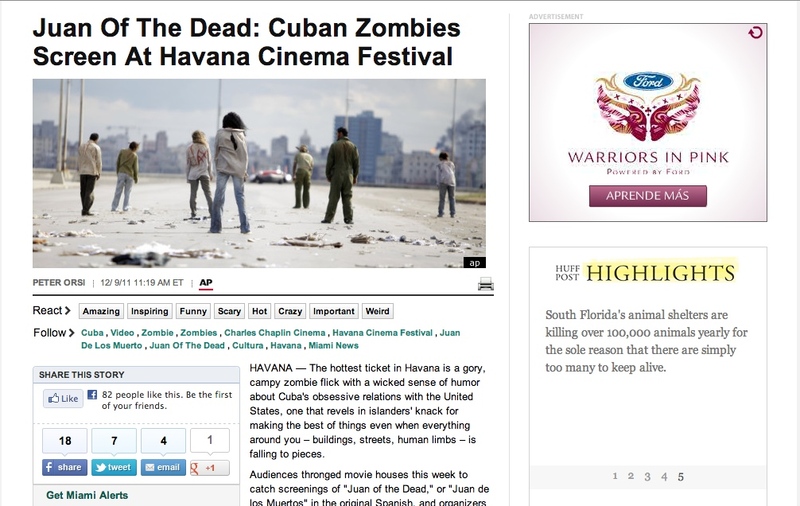 Patty's Utopia: Cuban Zombies are Coming to Seattle! 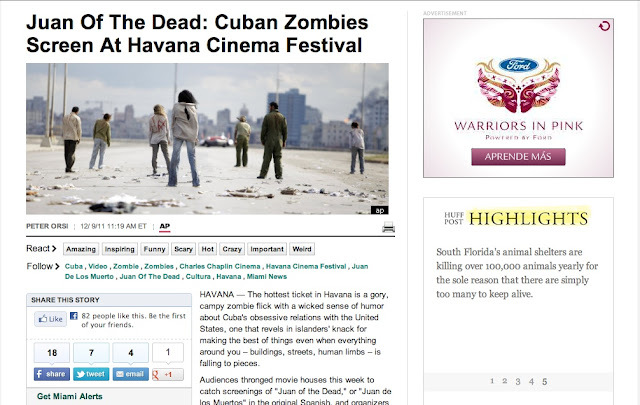 When I first read about this movie a year ago, I was very curious, and eager to see it but, I was not very sure about having to travel to New York or Miami to be able to do so. Luckily I will not have to go too far to see it. Tonight at midnight "Juan de los Muertos/Juan of the Dead" will make its debut in Washington state at the Seven Gables Theater in Seattle. So who is coming with me? 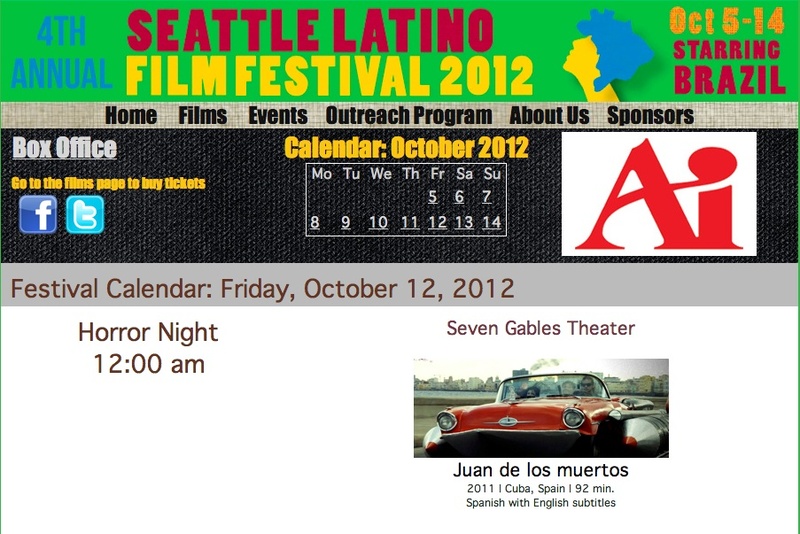 If you are brave enough to do it, get your tickets at: 4th Annual Seattle Latino Film Festival.